Disney’s Finding Nemo brought about a generation of people who fell in love with a little sea turtle named Squirt, and his dad, Crush. Since then, interest in sea turtles has been high, and adults and children alike are infatuated with them. One of the benefits of St Simons Island real estate is its close proximity to the Georgia Sea Turtle Center. What is the Georgia Sea Turtle Center? The facility is home for ill and injured sea turtles that are found along the Georgia coastline. Previously, any injured sea turtles found had to be transported to South Carolina or Florida, which made their chances of survival slim. After renovations, the Georgia Sea Turtle opened its doors in June of 2007. It not only cares for these creatures, but provides educational opportunities to the general public. What Will I see at the Center? The Georgia Sea Turtle Center is open to the public, and you will find various exhibits that teach visitors about a sea turtle’s life, from egg to adulthood. There are areas to learn about sea turtle conservation and rehabilitation, and you can even visit with some of the turtles who reside there until they can be released back into the wild. If you’re looking for something special to do with the turtle lover in your life, consider timing your visit with a special event. On March 13, 2013, the center will “Shell-e-brate Earth Day” with many eco-friendly activities to participate in while learning about turtles. 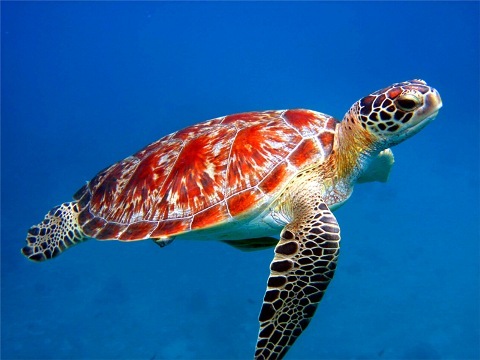 On May 18, 2013 athletes who want to help support the center can participate in the Turtle Crawl Triathlon, and kids will love to participate in the Sea Turtle Camps hosted in the summer. When you’re done visiting the Georgia Sea Turtle Center, head back to St. Simons Island to enjoy some more of the amenities the island offers or learn about real estate purchasing options. Keep your eyes open though, since Georgia’s coastline conditions make it a prime nesting ground for sea turtles. If you’re looking for a spot to relax, observe, and learn about sea turtles, contact us.